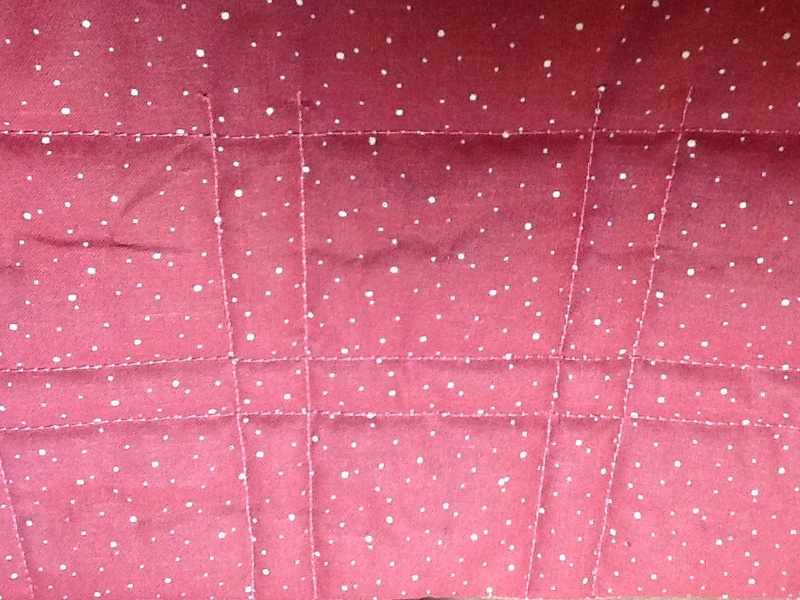 I am working on quilting my patchwork placemats with a border. 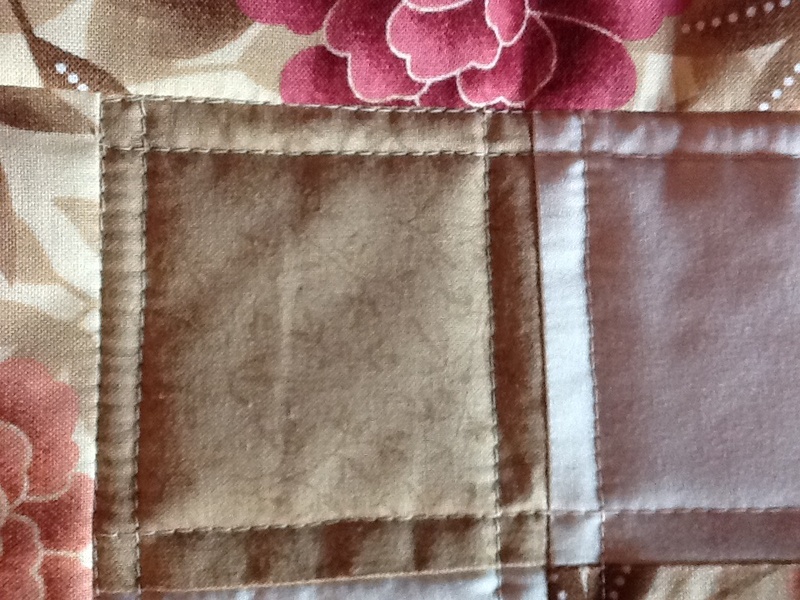 My question is do I SID around the inside border if I have stitched 1/4 inch around each seam? I've never done that stitch before, but I think the back will look unfinished if I don't....like all these seams are just hanging out there. So confused. If you flip it over and they look like they are hanging in the air to you, then run a row of stitching to finish them IF it doesn't spoil the design on the front. If you can post a picture someone may have another solution. They are your placemats and the only person they have to please, is you! I with Tartan, sometimes if you take a picture of your work you see it differently and it can help you make your mind up. Good luck though! I have two more rows and then I will post a pic. Thanks! This is the back. It's a gift so I want it to look finished, but I'm not sure if I should stitch inside the border. I realize they are my placemats, but they are my first set. Any advice is appreciated. Thanks! Looking lovely! 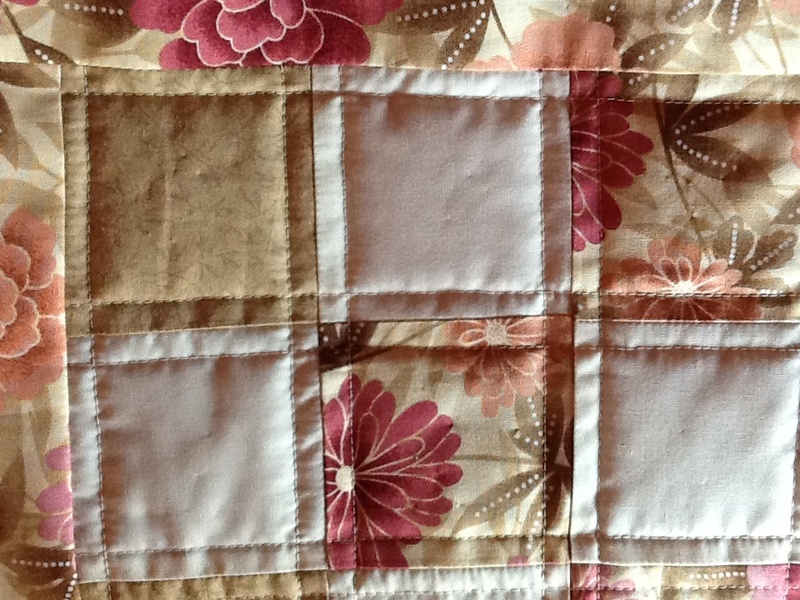 You could run a row of stitching between your squares and the border. Stitch right in the stitching line, (this is called stitch in the ditch or SITD) being careful to not get up on your border fabric. A foot that allows you a good view of the stitching line will help and stitch slowly. i'll post a pic a pic with the border stitching. The walking foot makes this so much easier. I did it!!!!! I am so much happier with them. Now for the binding. This gets easier as you go along, right? Ha ha ha. I so appreciate your input! Thanks! They're very pretty, and will make a lovely gift! LOL, sometimes it gets easier, until it doesn't. It is a continually learning experience. But you have conquered the hard part. You found the quilting board!! Come back often! I agree, they look much better now. Your work is wonderful. Oh, those would be so pretty in my kitchen!! I'm afraid I don't have solutions for you but just wanted you to know they are lovely! Thanks everyone! For my first placemat project, I'm pretty happy with the results so far......I know it's a learn as you go thing, but on my goodness, sometimes, I feel pretty silly. So appreciate your kind words. I like it with the SITD. Nice color combo. You're doing great ! Thanks Jingle. I think so too. I felt like they looked unfinished before. I had never done SID before so I was a little nervous, but lets face it, all of this is new and if I don't try it, I won't know how to do it, right? I guess I should have started with a set that for me so I could learn from my mistakes. Live and learn. Nicely done!! Glad you decided to do the next row of stitching. Looks great!! As a reminder- how much and where you quilt depends on the batting recommendation made by the manufacturer. The package should say what that recommendation is. I use Hobbs 80/20 and they say to quilt no farther that 3 1/2" apart. Other batting have different recommendations. 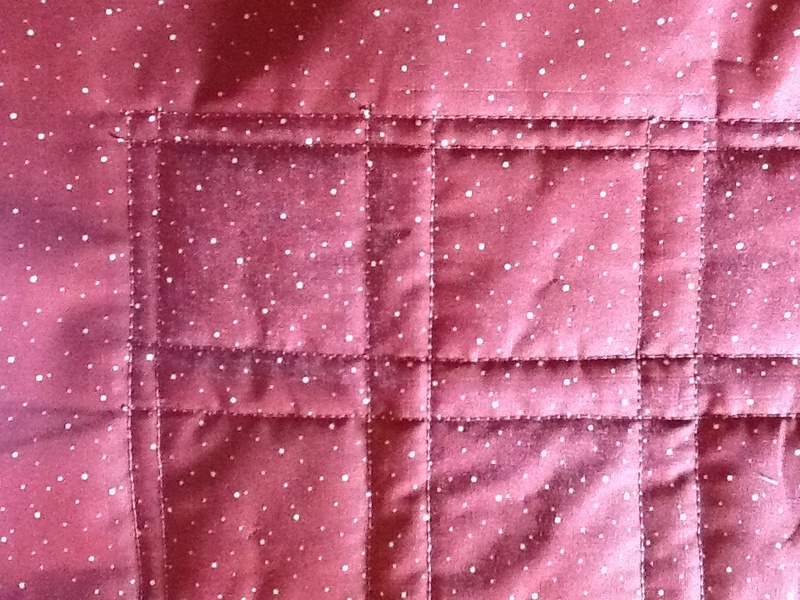 Therefore the batting you use determines your quilting. However if you are not using any batting or are just using flannel or felt for your placemats then you do not need to do much quilting. Only enough to hold the placemats together and make it look pretty.